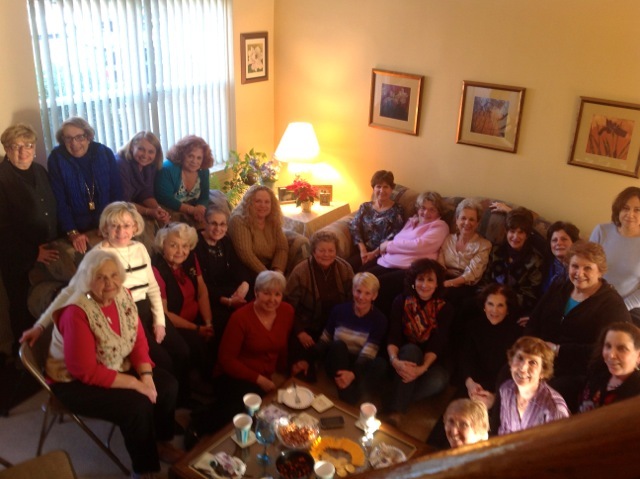 …and a picture of all the women in our mah jongg group. Not all of them play at the same time, but we often have 3 or 4 tables going when we play. We met at a mah jongg class at our union (retired teachers) office. Fun! I am sitting on the floor in between the two sofas. Lots of stories about the group, but it’s a wonderful bunch of women! Life ends, love does not. This entry was posted in Mah Jongg and Me and tagged Fresh Meadows, mah jongg, teacher on February 21, 2014 by Mah Jongg and Me. It may be cold and snowy in the City of Brotherly Love right now but there is no shortage of love for Mah Jongg there. 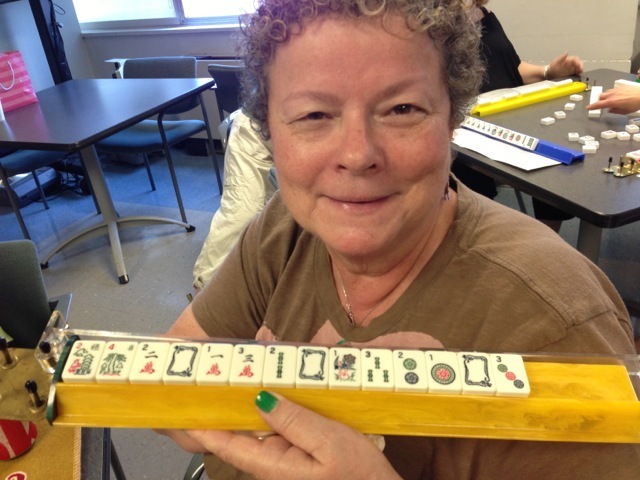 “My name is Leah Feigenbaum and I have been playing the fascinating, fun, and fabulous game of Mah Jongg for well over forty years. Like many of you, I fell in love with this game watching my mother at our kitchen table. Eager to spread my passion, I have been teaching the game throughout the Greater Philadelphia Area for beginners and experienced players alike for the past seven years. While I love teaching new students the fundamentals of this great game, I get a real thrill from instructing my more seasoned students on the nuances and intricacies each year as new cards are released. Privileged to have taught more than three hundred students, I feel so lucky to have touched some great people, enlightening them to this lifelong game. 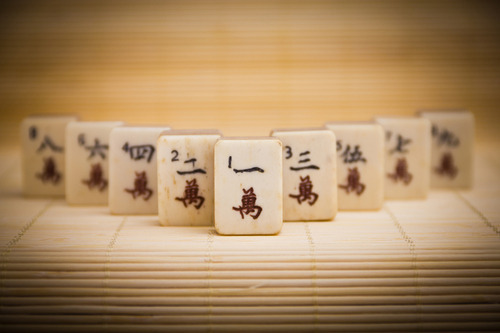 Whether you are attracted to the intellectual stimulation or the social aspect, Mah Jongg could be for you! 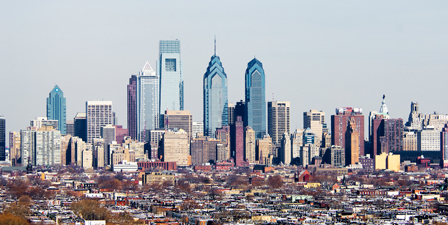 If you are lucky enough to be living in the greater Philadelphia area, give Leah a call or send her an email – you are about to join a great group of people who have been taught the game by Leah. This entry was posted in Mah Jongg and Me and tagged brotherly love, mah jongg, philadelphia, teacher on February 20, 2014 by Mah Jongg and Me. 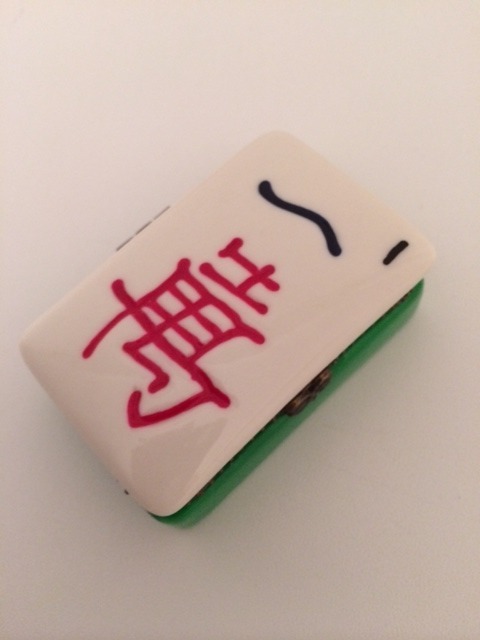 So excited about this fabulous trinket box from The House of Rice Store on Amazon. 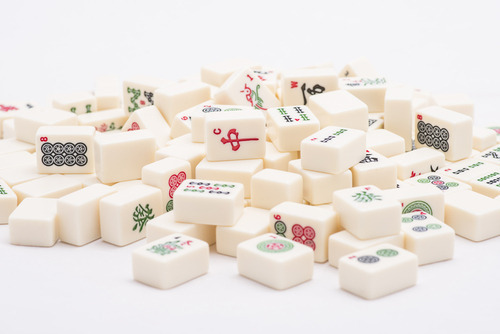 What a great hostess gift for your Mah Jongg-playing friends…or just nice for yourself! 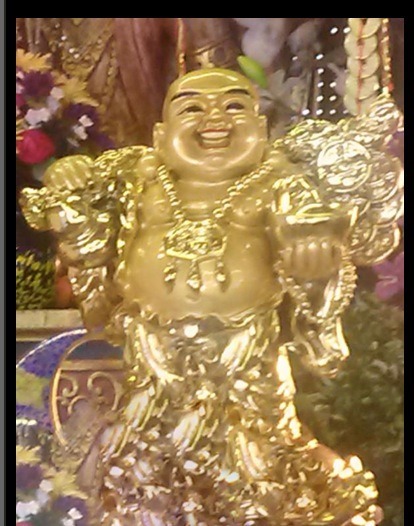 This entry was posted in Mah Jongg and Me and tagged Amazon, box, friends, gift, hostess, house, mah jongg, rice, trinket on February 19, 2014 by Mah Jongg and Me. Q. If someone calls you dead and you are NOT dead, is there a penalty for the person who calls you dead? I’ve looked through the National Mah Jongg League rules and I don’t see that answer. Is that a table rule? A. In a tournament, when someone declares you “dead” and you are NOT – then the player who called you “dead” is now dead (the Director can also help to determine if you are truly dead or not). That player will then cease playing and will receive a ZERO (0) for the game, even if it is a wall game. In a tournament we take it one step further….if someone even uses the “D” word like, “I think you might be dead…”) and you aren’t…then they should be declared dead. 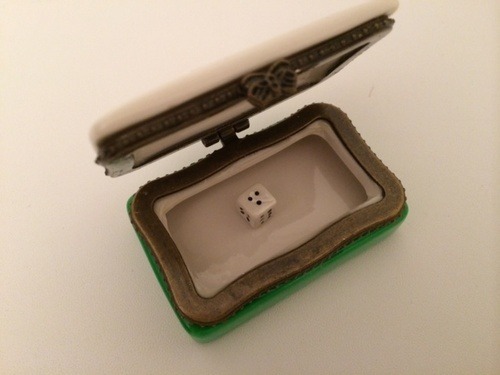 STRATEGY: If you think your opponent might be dead, it’s a good idea to ask the other players to stop the game while you check the table…and not commit yourself to the “D” word too soon. You also might want to check with the NMJL for their ruling in a social game. Tournaments tend to follow a bit more strict adherence to rules, because there is usually hundreds (or thousands) of dollars in prizes, and Master Points involved. Mah Jongg Tournaments.” Visit her Mah Jongg Madness site. This entry was posted in Mah Jongg and Me and tagged declared dead, mah jongg, mah jongg madness, National Mah Jongg League, nmjl, strategy, tournament, wall game on February 18, 2014 by Mah Jongg and Me. Q. I was East, and when I picked up all my tiles, I had Mah Jongg! Now what? So unless – and until – the NMJL changes this rule….that’s how we will proceed. But WOW! In all my years playing Mah Jongg, I have never seen this happen. What a conundrum. 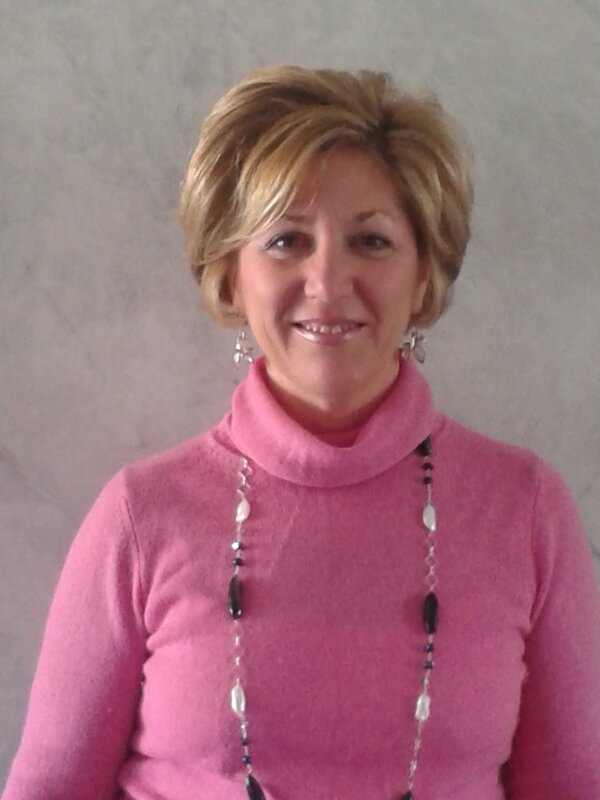 Thanks to Gladys Grad, “The Grand Master of American-Style Mah Jongg Tournaments.” Visit her site at Mah Jongg Madness. This entry was posted in Uncategorized and tagged Charleston, east, Gladys Grad, mah jongg, mah jongg madness, nmjl on February 16, 2014 by Mah Jongg and Me. BE CAREFUL WITH THE NAMES YOU CALL! Q. I noticed a rule in the latest publication from the NMJL that differs from a rule you have used at your tournaments. 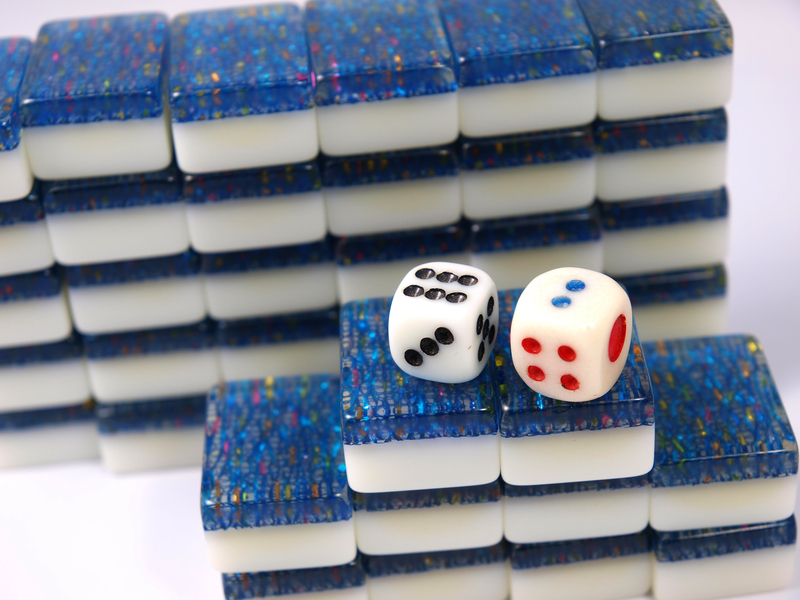 A player discards a tile but miscalls it. However, she has the correctly named tile in her hand. Does she take the tile back and discard the named tile from her hand? A: No, You do not replace the tile with named tile….miscalled tile is only correctly named. This entry was posted in Uncategorized and tagged discard, Glady Grad, grand master, mah jongg, mah jongg madness, mis-named, nmjl, tournament on February 15, 2014 by Mah Jongg and Me.